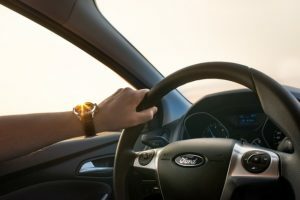 In Michigan, as in other states, there are laws prohibiting car occupants from having open containers of alcohol, also known as open intoxicants. Driving down I-75 with a beer in your hand is clearly a violation but other circumstances are less obvious. If you plan on transporting open or unsealed containers of alcohol in Michigan, you need to knows the rules. Earlier today in Pontiac, we convinced a prosecutor to dismiss an open intoxicant charge against one of our clients. There was inadequate evidence available for the prosecution to meet its burden beyond a reasonable doubt and we made clear that we were going to fight to protect our client’s rights. As is true for anyone charged with a crime, it is important that your attorney have a thorough understanding of the applicable law, the burden placed upon the prosecutor, and all possible defenses. MCL 257.624a prohibits anyone from operating or occupying a vehicle on a roadway intended for motor vehicles (including a parking lot) with an open or unsealed container of alcohol. The intention of the law is to prevent people from operating motor vehicles while imbibing alcoholic beverages. The legislature has, therefore, provided common sense exceptions to the general rule, though law enforcement and prosecutors sometimes pursue charges where none are warranted. You may transport open intoxicants if they are stored in the automobile “in an area not normally occupied by the operator or a passenger.” This means that you can leave a restaurant with a half bottle of wine, or move unsealed bottles of liquor from one place to the next, if they’re properly out of reach of those in the car. Such bottles must be kept in the trunk, if the car has one. In cars without trunks, the open containers must be either in a locked glove compartment OR placed behind the last upright seat. Open intoxicants are also permitted in chartered vehicles, such as buses and limousines, that are properly registered with the Michigan Department of Transportation. 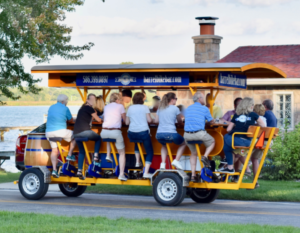 The last major change to the statute came in 2015 when new legislation was passed to allow quadricycles, often called pedal pubs, to operate with open intoxicants. The amended statute permits occupants of the vehicles to possess beer, wine, spirits, or mixed spirits drinks. (There is some disagreement over whether the statute allows for hard liquor and we have yet to see a case that tests that provision.) While the new rule applies throughout Michigan, local governments retain the right to prohibit open intoxicants on commercial quadricycles. 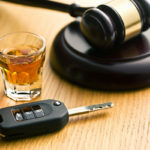 An open intoxicant charge is serious and a conviction carries with it up to 93 days in jail, a fine of up to $500, and two points on your driving record. If you have been charged with this or any other crime, call one of the lawyers at LEWIS & DICKSTEIN, P.L.L.C at (248) 263-6800 or complete a Request for Assistance Form. You need an expert on your side who can analyze the facts of your case, counsel you on all your options, demand that you are treated fairly by the judicial system, and fight for you in court.